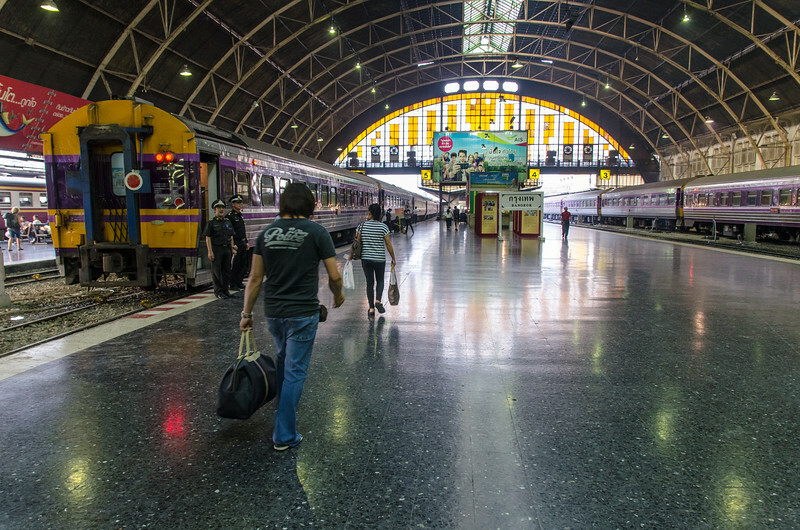 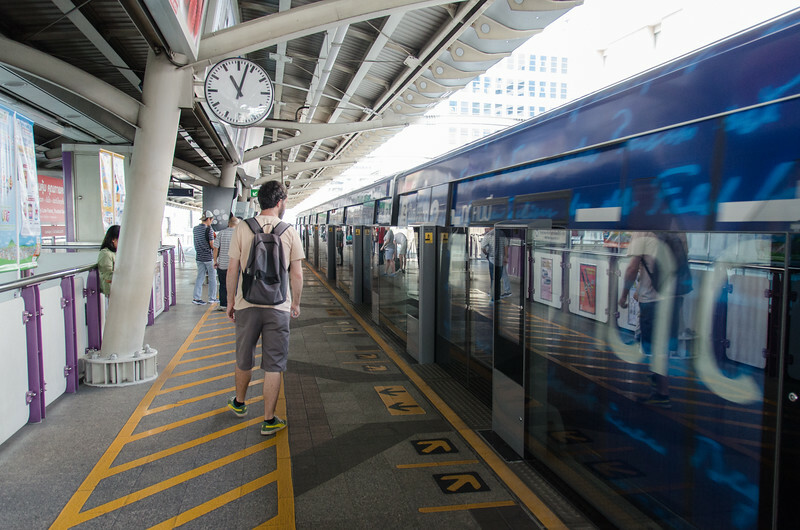 Exploring the Bangkok train station. 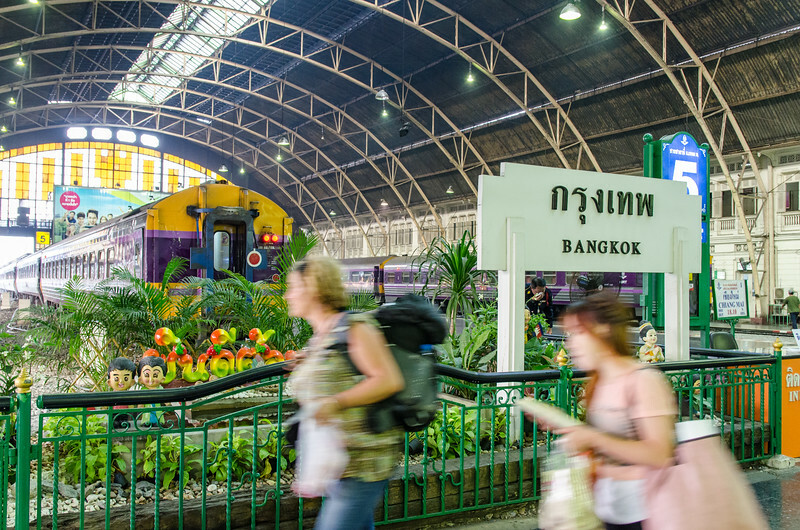 These trains are headed north, Chiang Mai, etc. 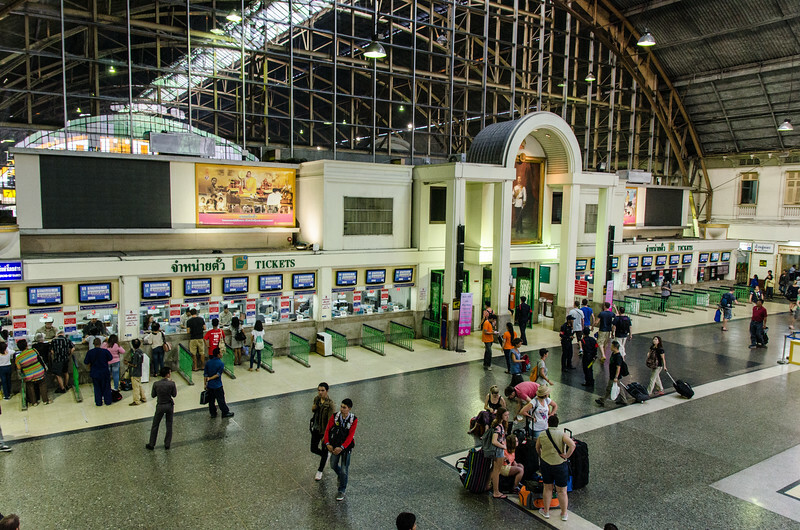 The ticket windows. 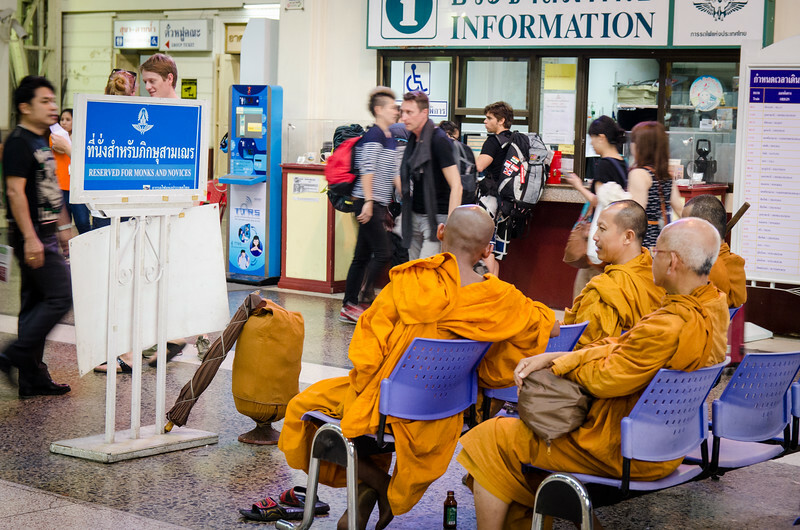 I was hoping to get a first class sleeper to Chiang Mai, no luck sold out. 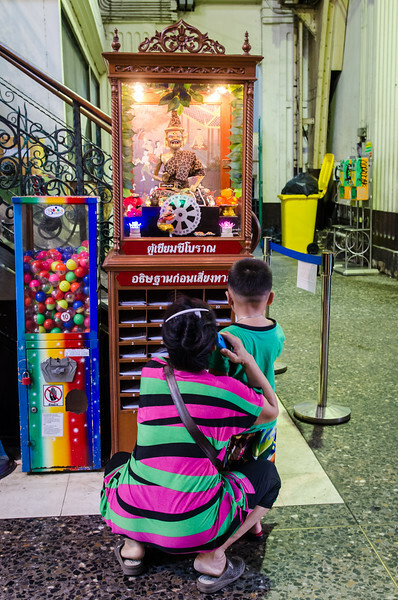 A woman playing a game with her little boy. 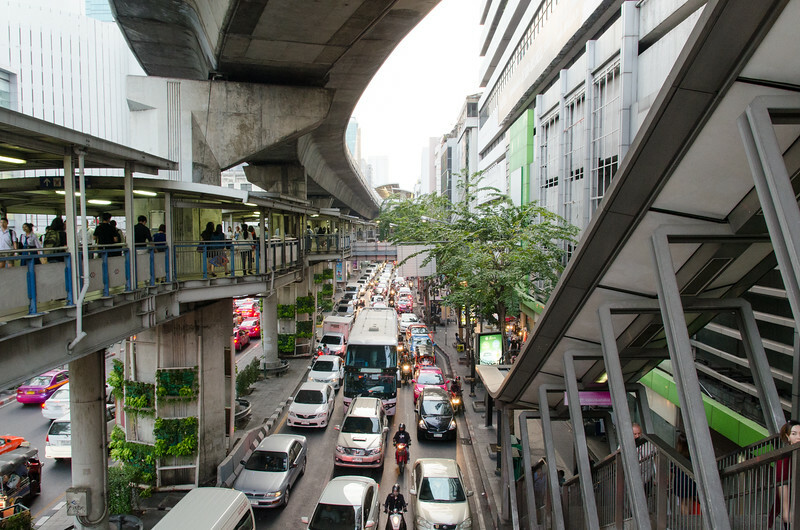 The Skytrain, the subway and busy roads all meet here. 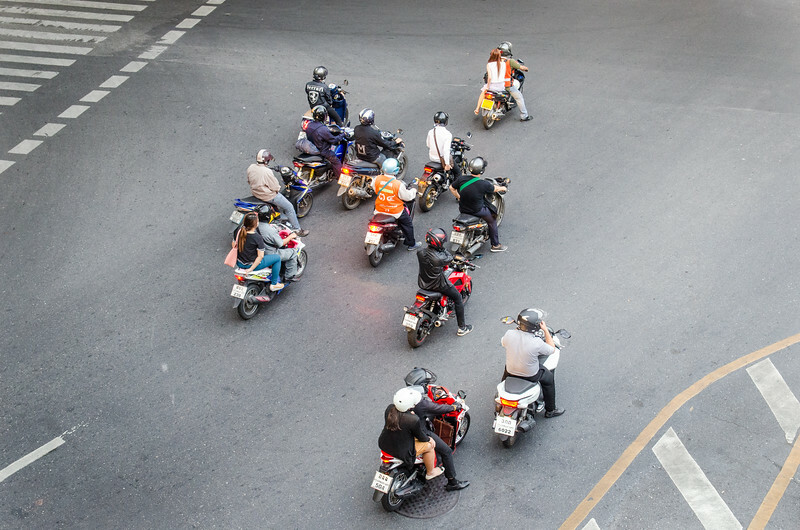 Busy! 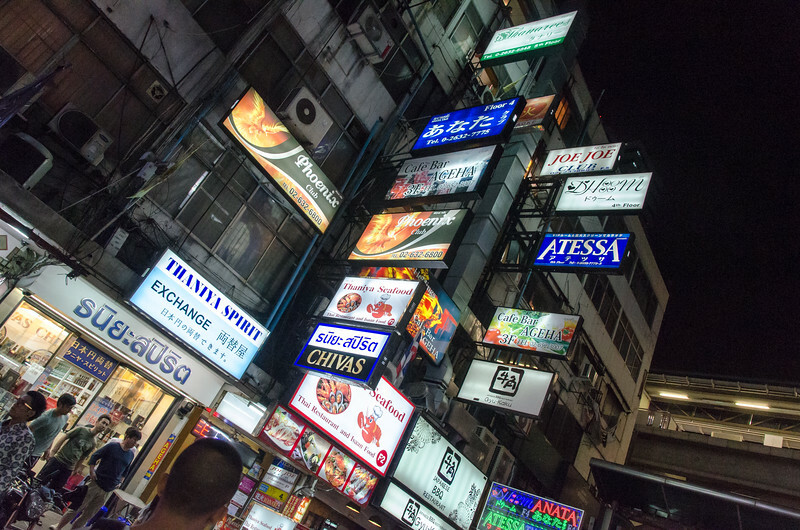 This was near my hotel. 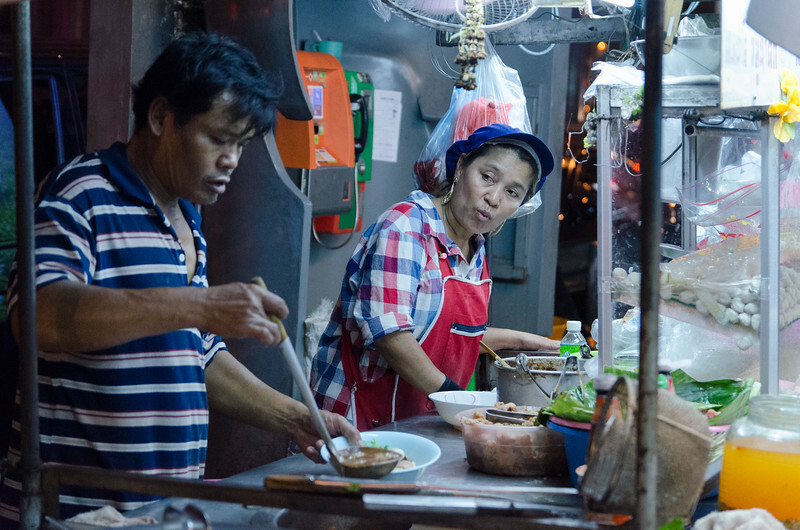 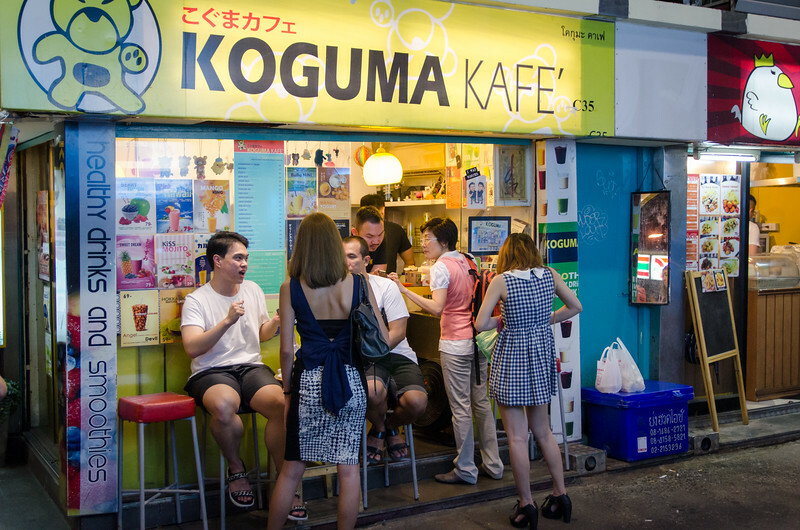 A couple working in a street food stand. 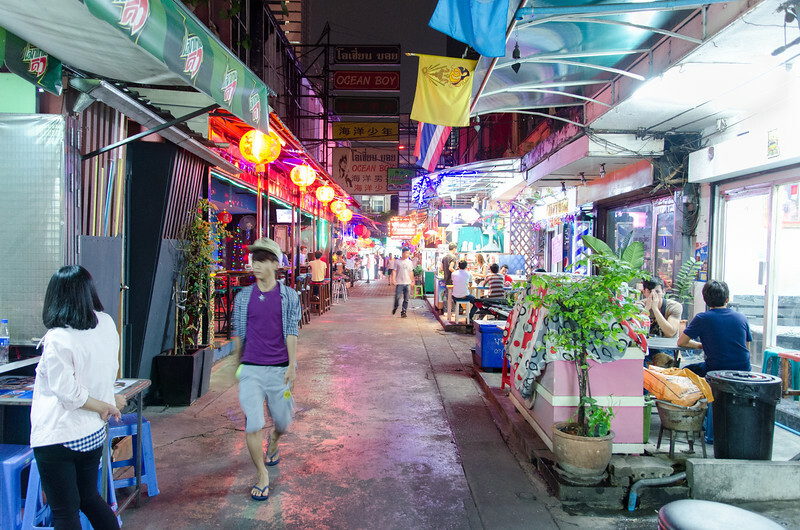 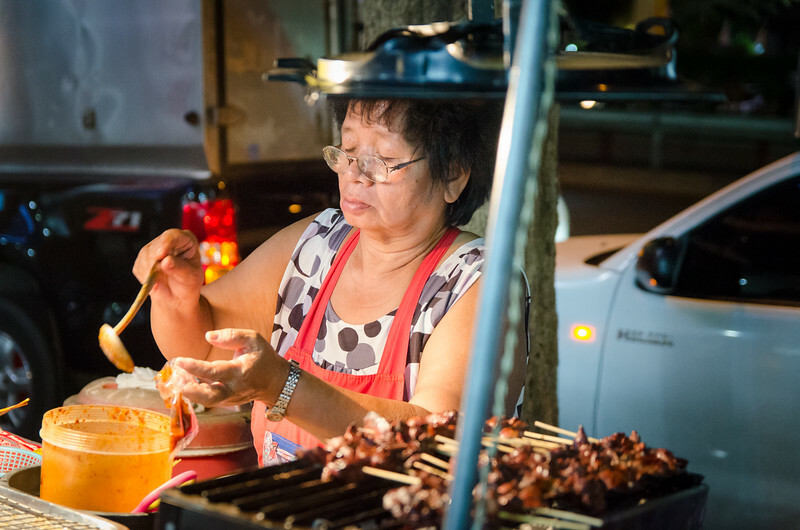 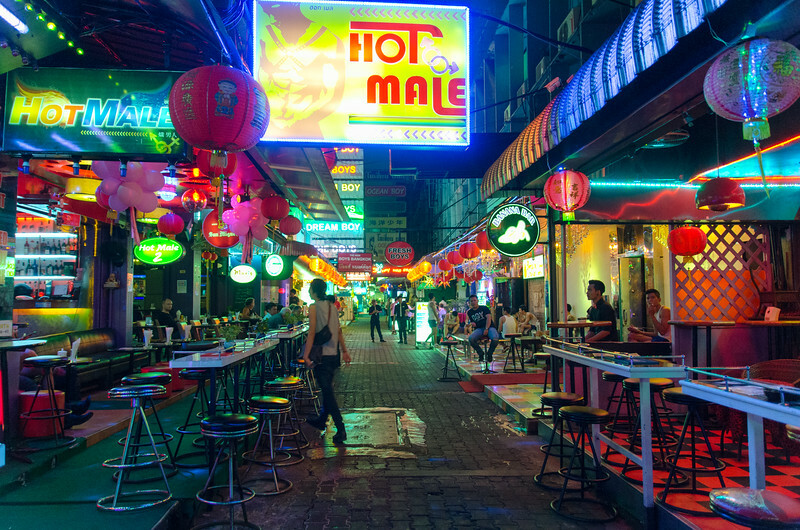 The variety of street food is amazing! 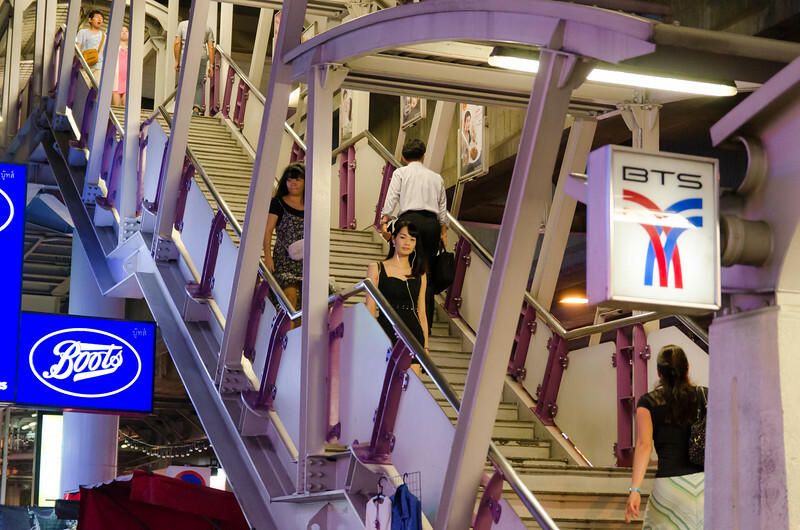 A lady leaves the BTS. 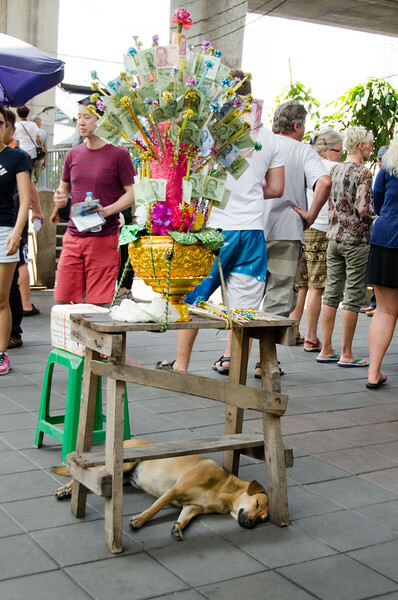 A dog takes a nap under the Skytrain near the river. 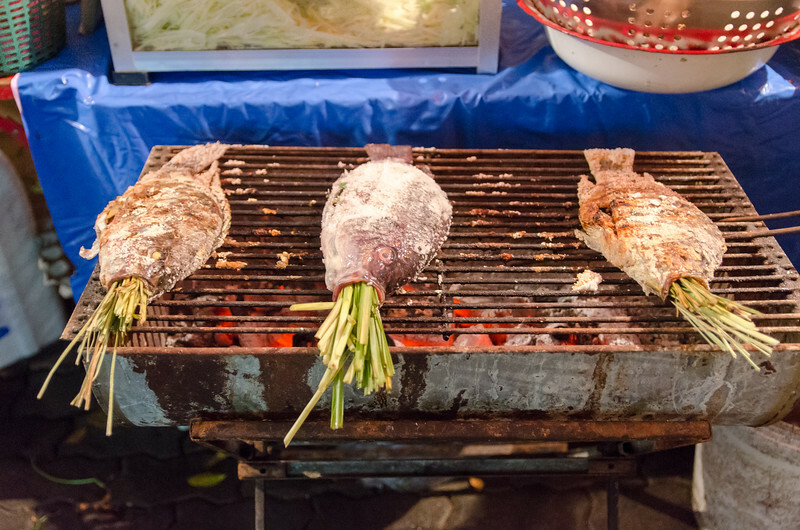 Offerings on the table. 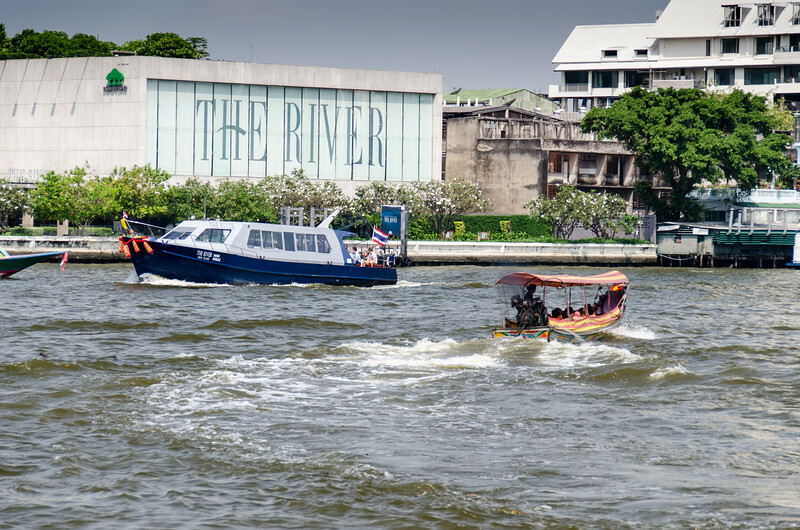 The Chao Phraya River is a commuter route too. 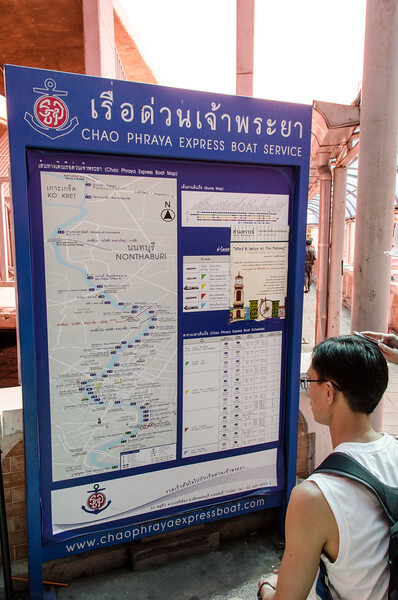 Various Choa Phraya Express Boats travel up and down the river ferrying passengers. 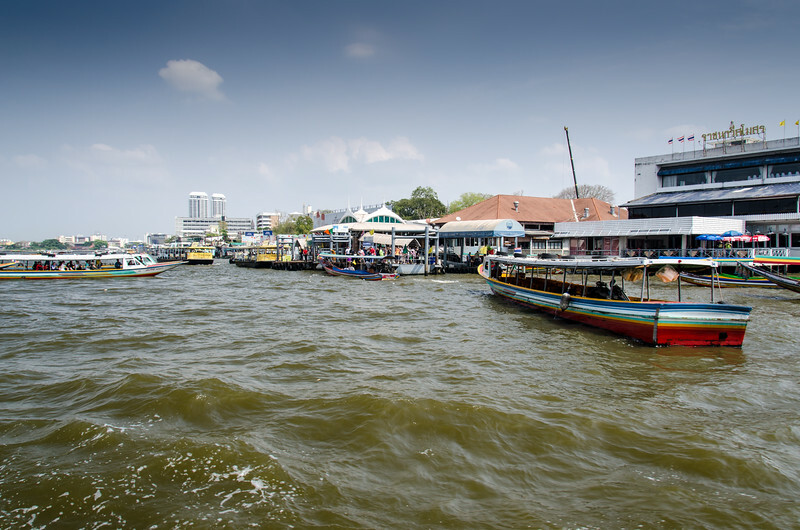 The boats routes are identified by colored flags. 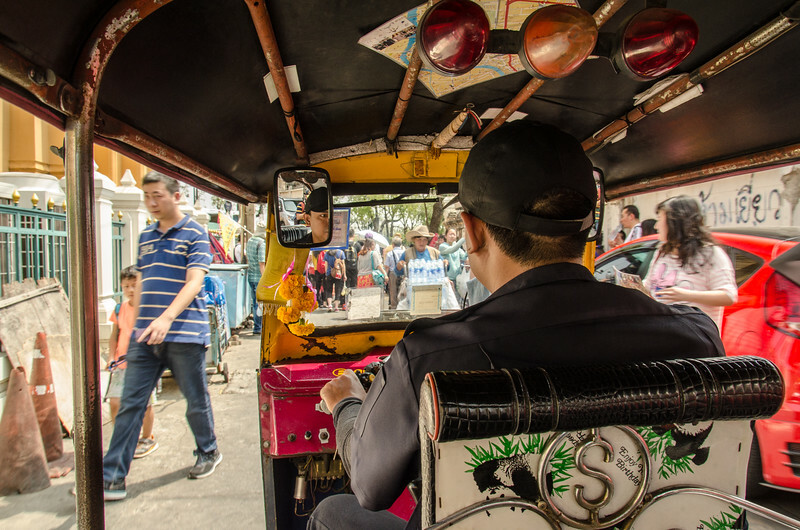 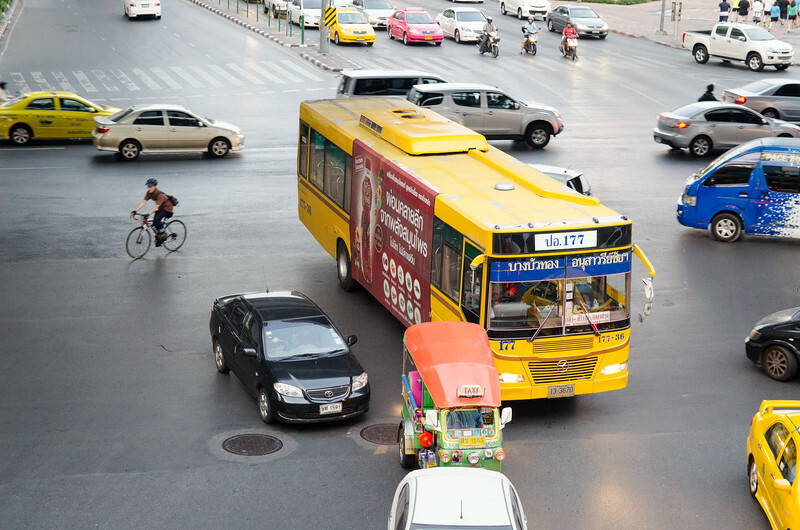 My tuk tuk driver navigates the streets of Bangkok. 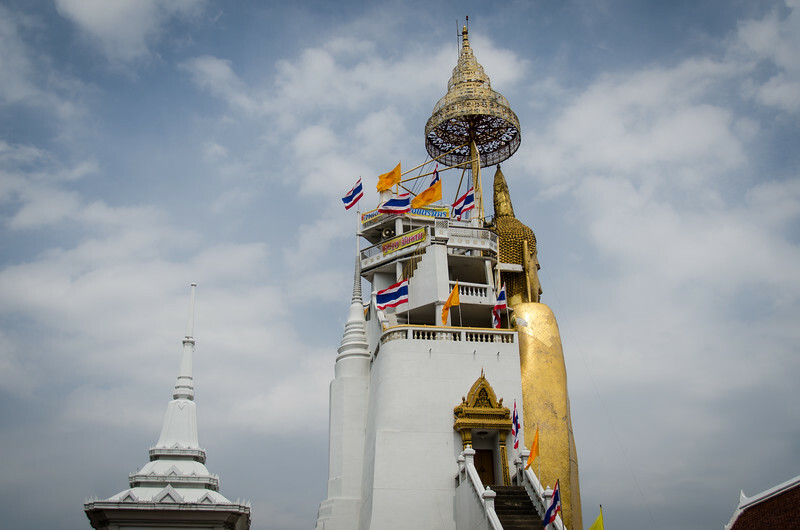 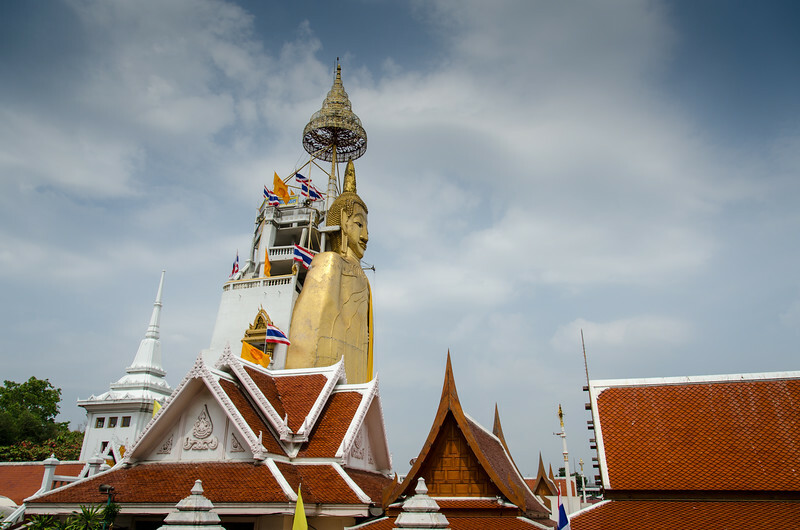 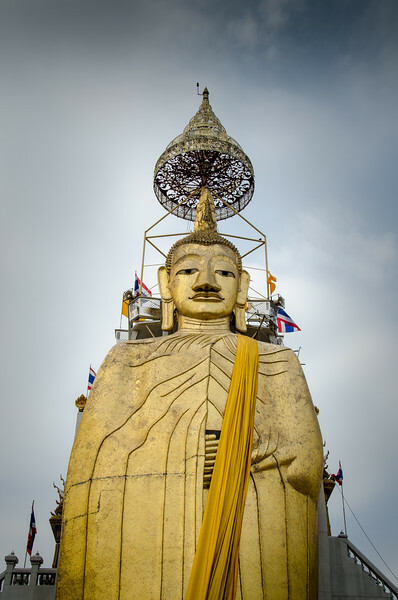 Wat Intharawihan, the tallest standing Buddha temple. 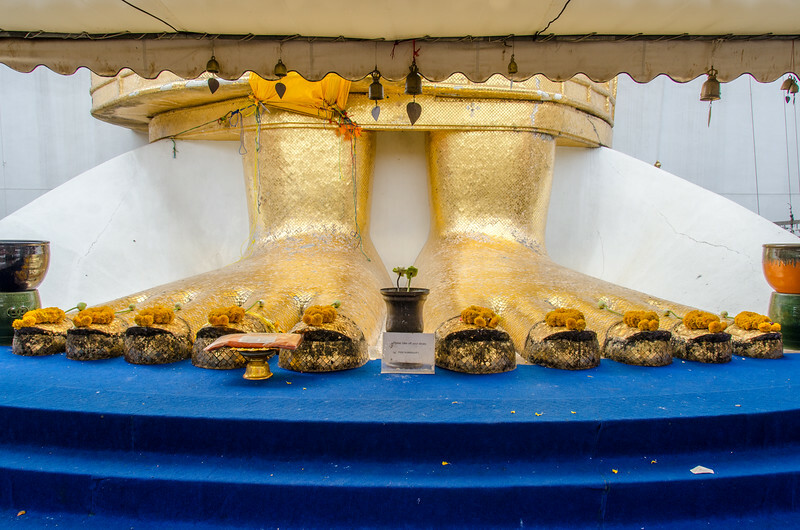 The feet of Wat Intharawihan, tallest standing buddha. 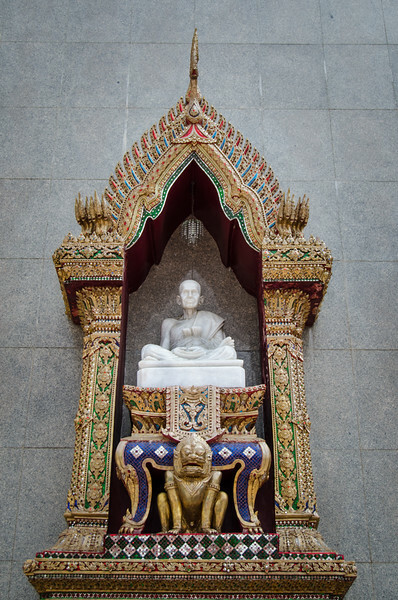 Buddha statue in a niche. 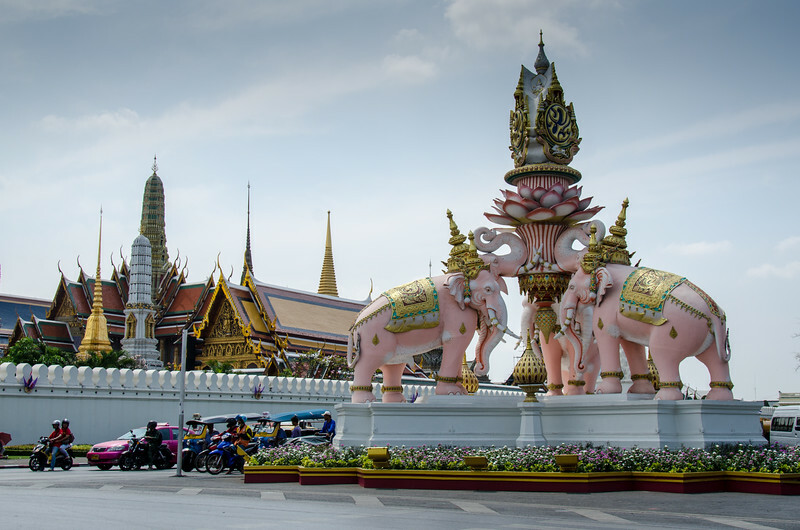 This statue of three pink elephants, approaching the Grand Palace was erected on December 5, 2011, as part King Rama IX’s 84th birthday celebration. 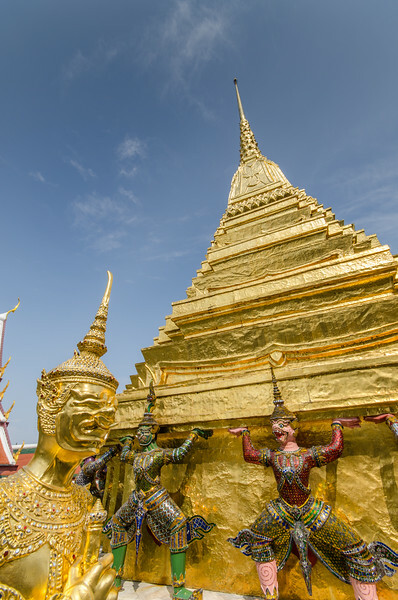 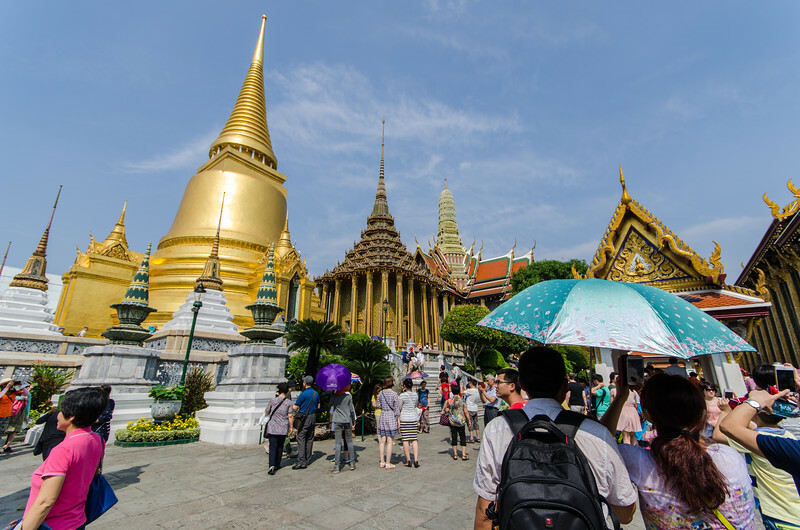 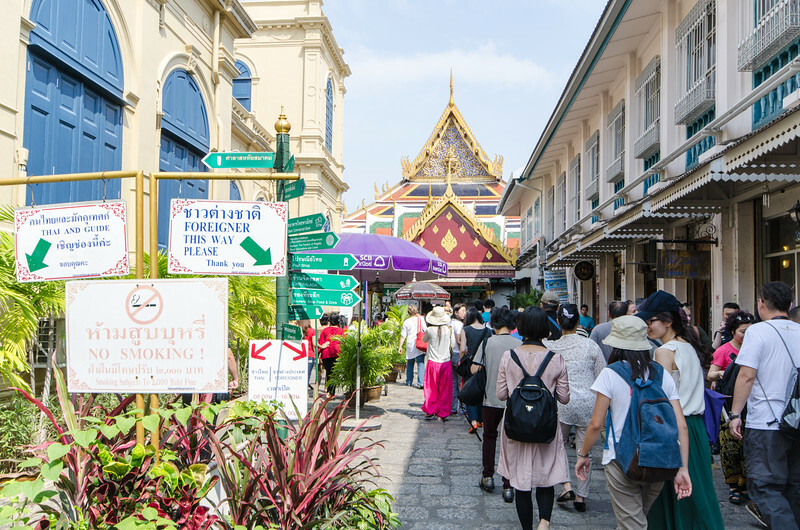 This is the entrance to the grounds of the Grand Palace and the associated temples and grounds. 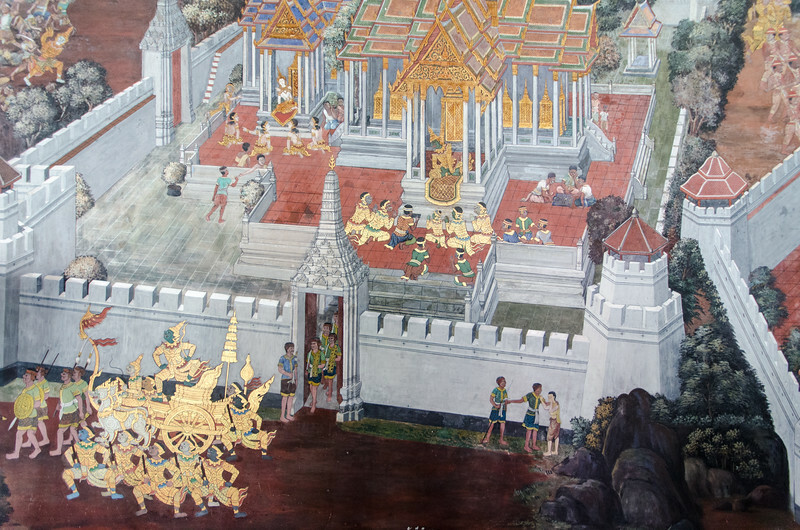 The outside walls are covered with historical murals. 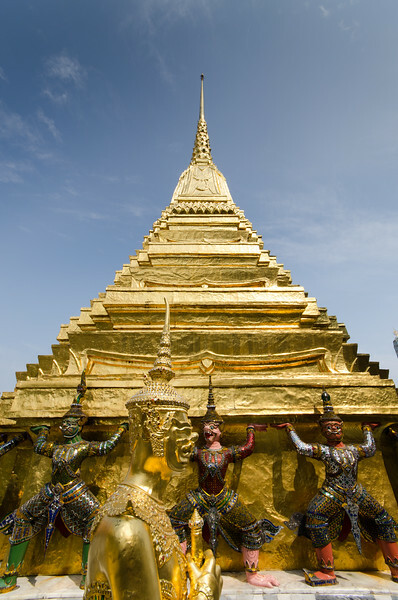 Inside the Grand Palace there are multiple temples. 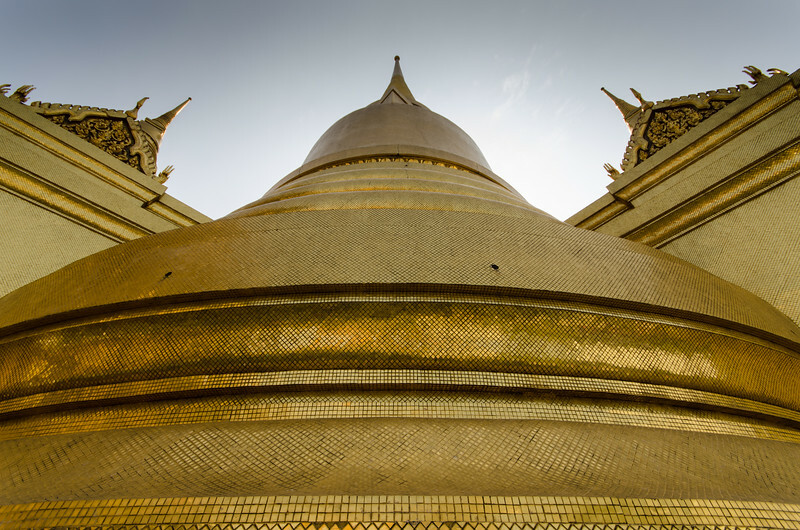 Golden Pagoda at the Grand Palace. 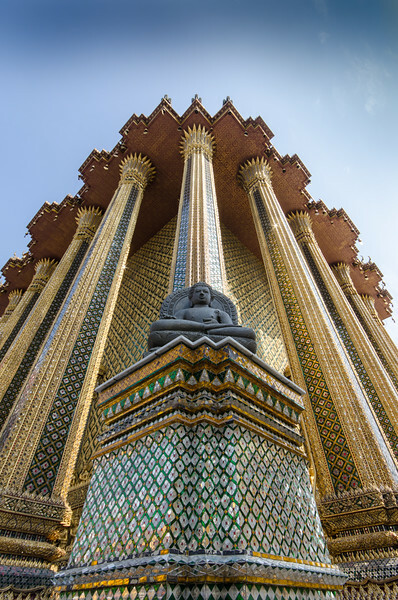 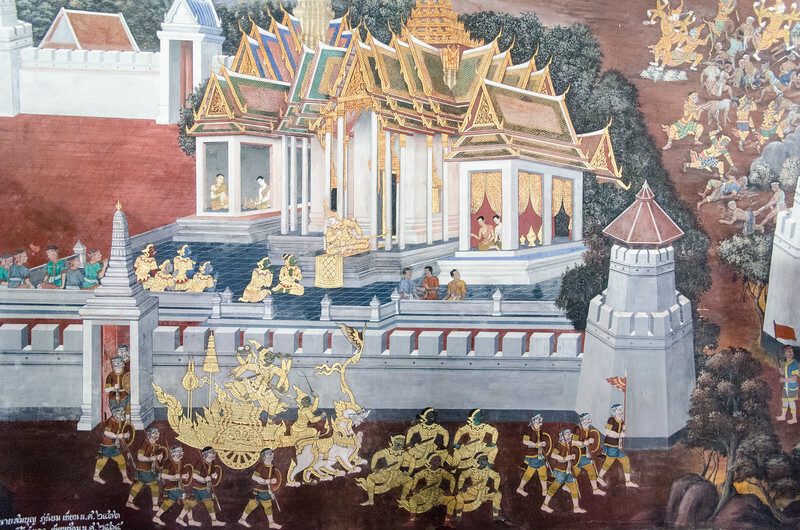 Detail with Buddha, Grand Palace. 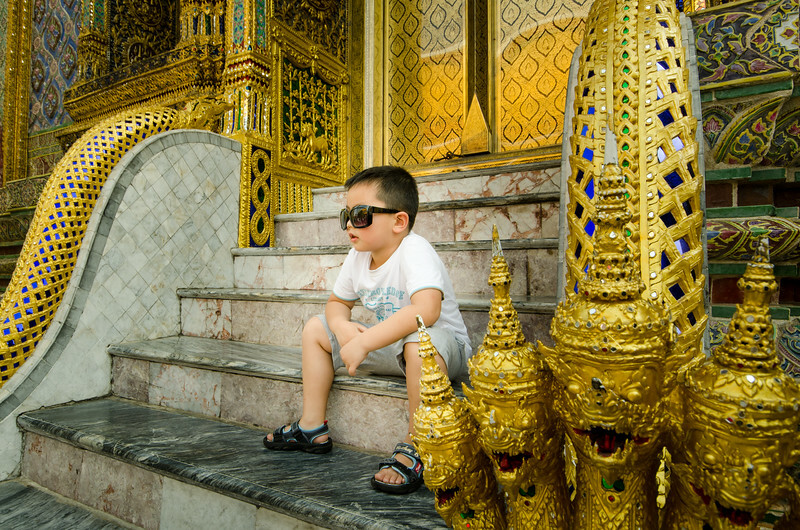 A young tourist takes a break outside the Temple of the Emerald Buddha. 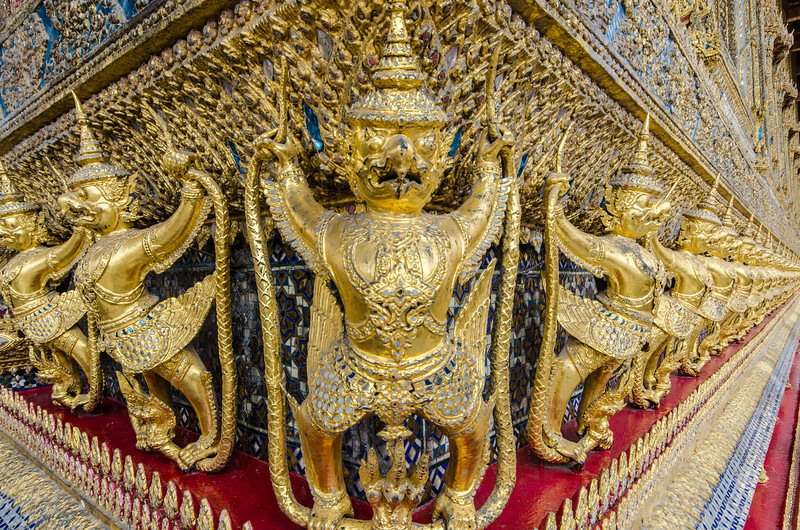 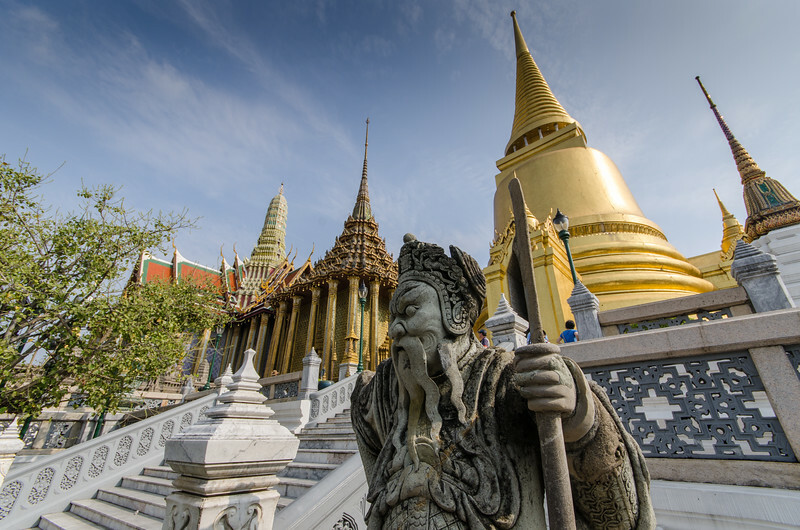 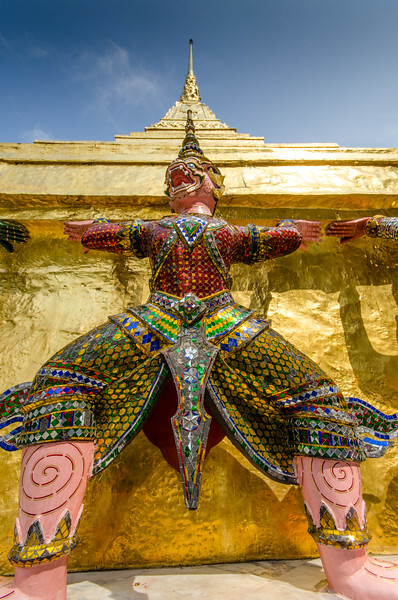 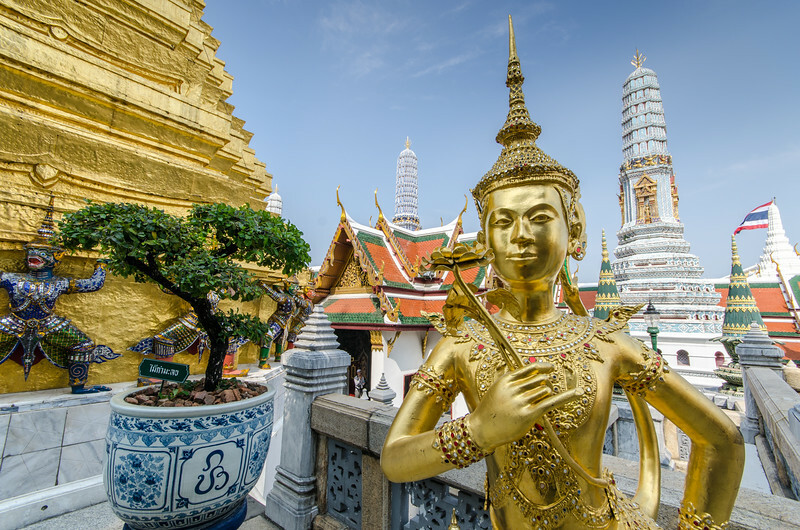 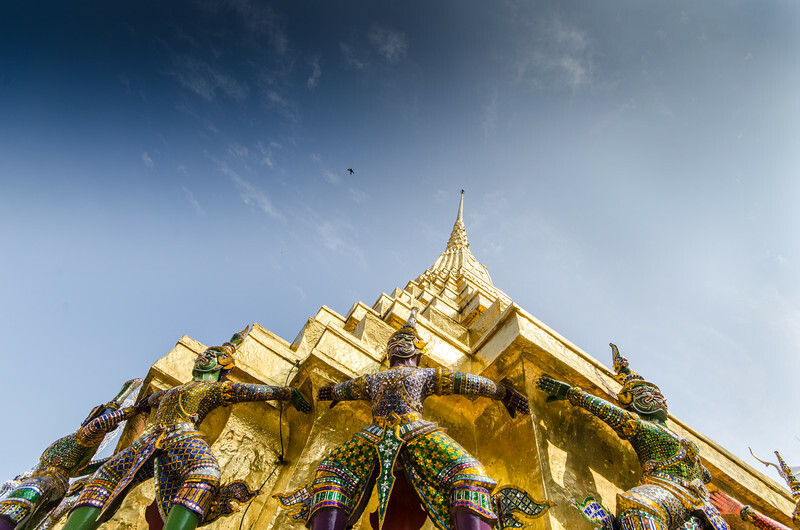 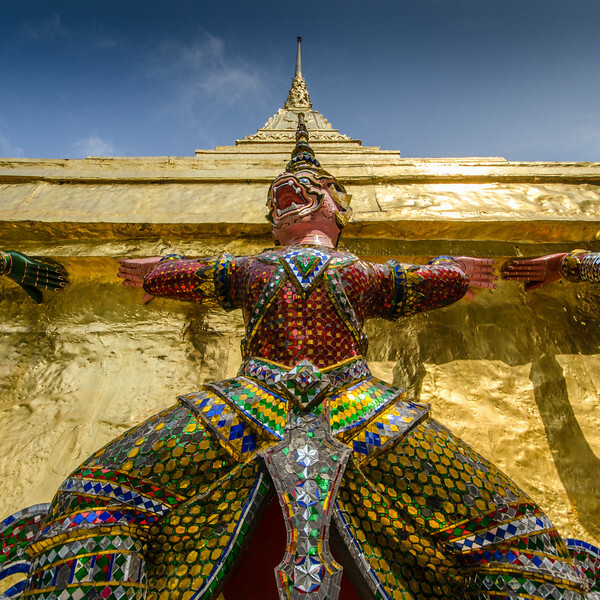 Garuda stands guard at the Grand Palace. 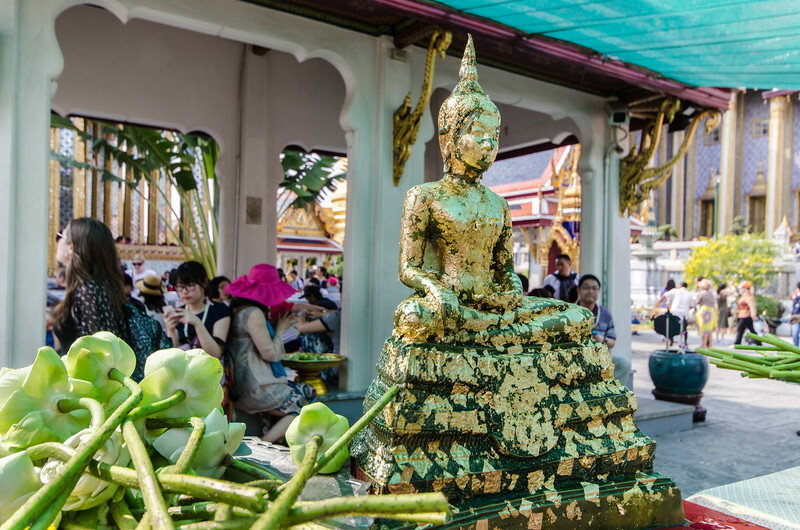 Flower and Gold Leaf offerings at the Grand Palace. 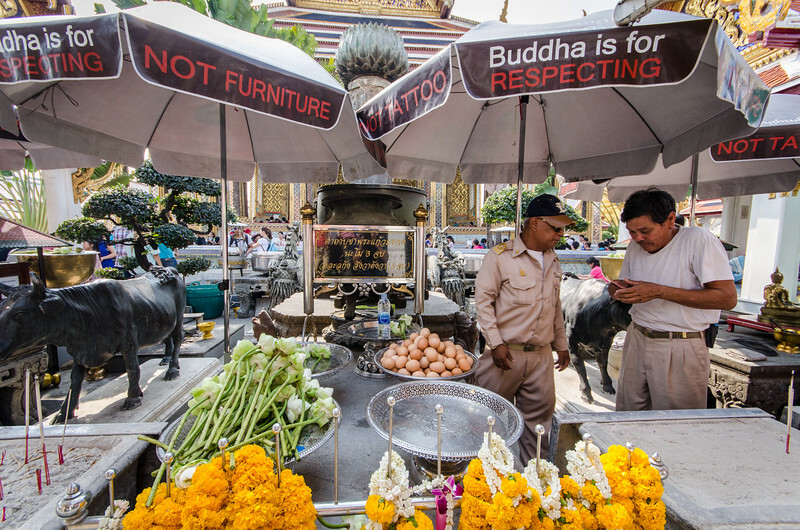 There is a big publicity campaign to get people to respect images of Buddha. 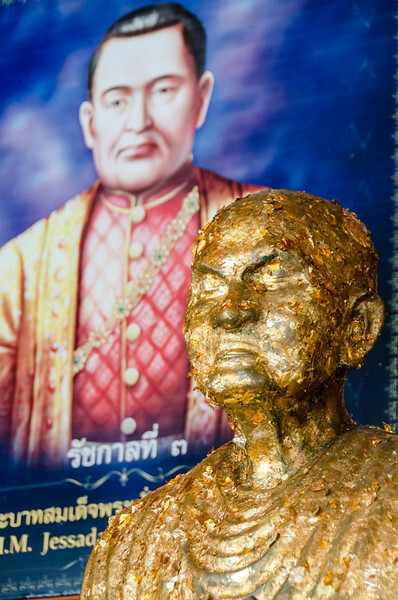 Statue detail at the Grand Palace.